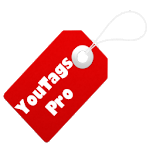 YouTags Pro - A tool for Boosting your videos - SEO quickly and simply Youtube videos with YouTags Pro proprietary keyword to optimize tags. - We provide optimization tags with ranking that can dramatically improve your videos's performance, subscriber engagement, and promotion opportunities. 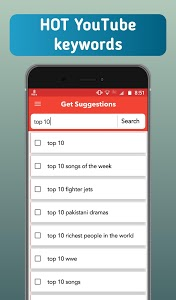 - Uncover the secrets to success behind your favorite YT videos - The top tag is the key! 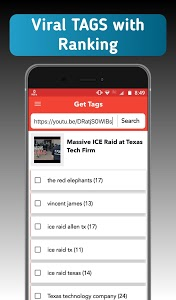 - Top 5 line tags that are trending on YTube, these tags were generated from your keyword search result. Want more views, want to grow your YTube channel? 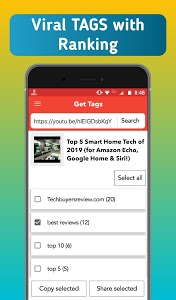 Get YouTags Pro right now to optimizing Tags - View SEO data like meta tags on any # Tag video to get an edge when optimizing your own YTube channel content. YouTags Pro - Let's us show you the higher vision with only one tap! 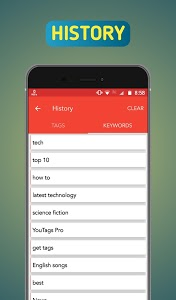 - Use the related keywords in the title, descripton on your video. 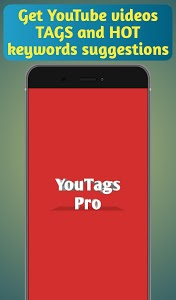 *Now you can navigate easily from YouTube official app to "YouTags Pro" by sharing any video. 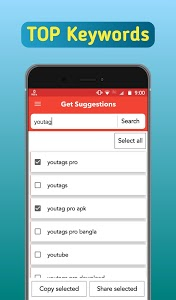 Similar to "YouTags Pro: Find tags from YouTube videos"